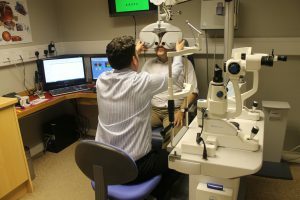 It was lovely to welcome our “Panorama Quiz” prize winner Peter Nisbet to our Practice. 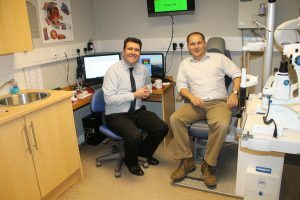 Peter was given full eye examination which included his first experience of a 3D retinal CT scan. 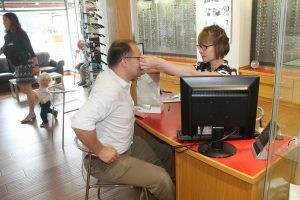 He then chose a rimless Silhouette frame for his optical prescription. 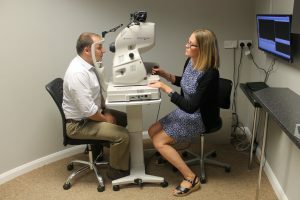 “Amazing choice of frames, and I had never seen such technology in an Optical Practice” comments Peter. “I would just like to thank everyone for the excellent attention I received”. Thank You Peter for your kind comments. It was our pleasure.